Hi my dear friends! 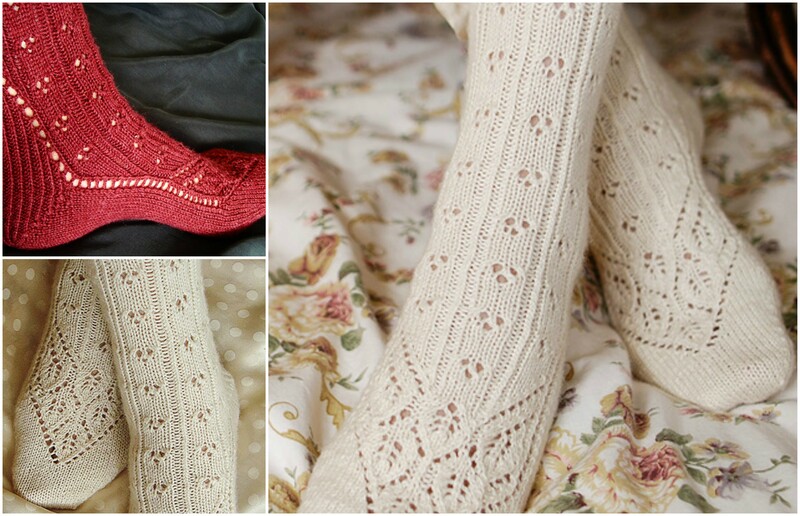 Today design Birdy and I are presenting adorable project – knitted socks! I love to wear the socks with dresses and skirts – They look very elegant. Knit in a delicious silk blend, it is just warm enough to ward off the first chill of autumn, and pretty enough to show off in your favorite sandals. Or treat yourself to a luxurious bed sock to keep your feet warm on a cold winter night. The choosing of colors up to you, I prefer blue and grey, the white one is nice too, it would be better having different pieces. So the whole article is under the text with free tutorial, it will make your job easier. I wish you all good wishes and enjoy with the pleasure of good knitting.